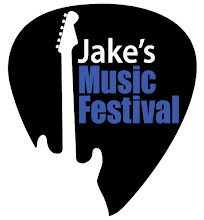 We are happy to announce that the next Jake's Music Festival will be held on April 13, 2013 at Wealthy Theatre in Grand Rapids, Michigan. This will be our ninth annual show and promises to have one of the best line-ups of music ever. There will also be a silent auction, Michigan beer on tap in the concession stand, and free cake samples. Plus surprise guests and just a whole bunch of fun. So mark your calendar now and follow this site or our Facebook page for updates as we get closer to the event.